Huawei finally confirmed its first smartphone that includes an in-display front camera will launch in China. 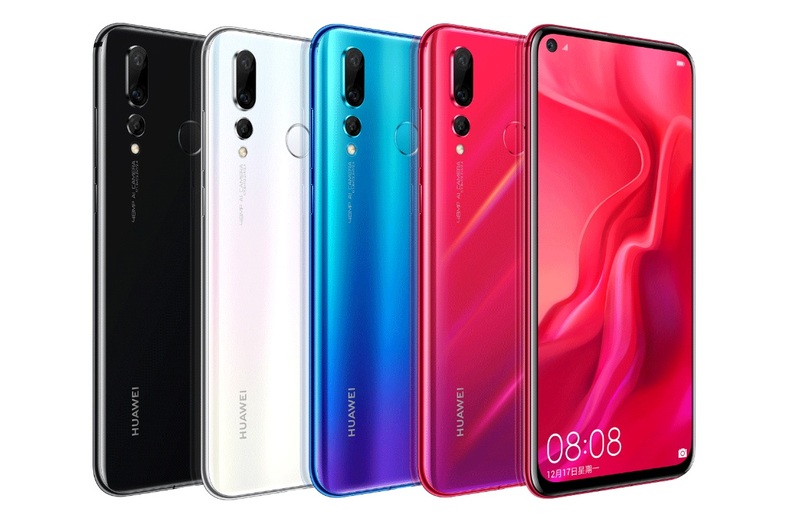 The Huawei Nova 4 has a 6.4 inch Full HD+ display with an aspect ratio of 19.5:9 and 2310 x 1080p resolution. The Nova 4 runs with Android 9.0 Pie under EMUI 9.0.1 and Kirin 970 processor. The capacity of battery has 3,750 mAh and supported with 18W fast charging. The phone has two models which have different rear cameras feature; the standard model has a 20MP with super wide angle three shot while the high model has a 48MP with ultra wide angle three shot. Both models have 25MP in-display front-facing camera. The storage has 8GB RAM and 128GB ROM. The feature of the phone includes a rear-mounted fingerprint sensor and Face Unlock on its in-display camera. The Nova 4 with 20MP rear camera price starts with ¥3099 ($449.23) while the 48MP model is for ¥3399 ($492.72). The available colors are Bright Black, Honey Red, White, and Blue variants.